This project will review qualifications, skill set and units of competency from the SFI11 Seafood Industry Training Package to reflect changing industry skills requirements. This project will focus on skills for managing biosecurity risk in both prevention and management of outbreaks of exotic pathogens or the emergence of endemic pathogens. Aquaculture is of growing importance to the industry, with both the AQUAPLAN 2014-2019 and the National Aquaculture Strategy 2017 identifying specific objectives dedicated to ensuring there is appropriate training to the sector. Biosecurity has been identified by the Federal Government in the AQUAPLAN 2017-2019 and National Aquaculture Strategy 2017 as a critical factor to manage in protecting the aquaculture and wild catch sectors. This project is carried out at the same time as the Seafood Post Harvest Project. The Industry Skills Committee (AISC) approved Cases for Change and issued an Activity Order for this project. The Cases for Change can be downloaded via the links below. 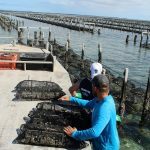 Skills Impact and the Aquaculture and Wild Catch Industry Reference Committee (IRC) will manage this project, consistent with the 2012 Standards for Training Package Development. This project will review 12 qualifications, 13 skill sets and approximately 104 units of competency within the SFI Seafood Industry Training Package, so that all job functions are accurately described, with appropriate current knowledge and skill needs. A focus of this project will be to incorporate skills to address changes in technology, legislative and regulatory requirements and environmental sustainability and management. To address the increasing and imperative importance of biosecurity within the industry, the project will also include a review of qualifications and units of competency directly related to biosecurity, in areas such as infection control, imports, exports, diseases and management. This will ensure an appropriate response to support expanding sectors of the industry as identified in the 2017-2020 Aquaculture and Wild Catch IRC Skills Forecast. Scroll down to view the qualifications, skill sets and units that will be reviewed in this project, and the various job roles and skilled activities they cover. As part of the review process, documents will be updated to meet 2012 Standards for Training Packages and to address the Council of Australian Governments’ reforms. Qualifications and units with low enrolments now need to be checked if they are meeting industry needs. These items will initially appear under the heading of low use units/qualifications that may be subject to deletion. If there is a need for these units, please provide comment explaining why and also any views you may have as to why there are so few enrolments (see below). Where gaps are identified, additional units may be developed. This project is being carried out at the same time as the Seafood Post Harvest Project. Subscribe to the Skills Impact newsletter to keep informed about project updates and opportunities to provide input and feedback. Make sure to select ‘Aquaculture & Wild Catch’ as your industry of interest on the subscription form. Functional analysis of occupations relevant to aquaculture, fishing operations, diving, biosecurity and environmental management. Please register you interest to be informed at each project stage and receive details of workshops and consultations. On behalf of the IRC we have identified a list of key stakeholder organisations in this project. Skills Impact will ensure contact is made with each of these organisations during the development of this project to seek their involvement and their views on the draft qualifications, skill sets and units. Below is a list of the current and existing qualifications, skill sets and units that will be reviewed as part of this project. Use the links below to view the components on Training.gov.au. In preparation for the review of the Aquaculture, Fishing Operations and Biosecurity components, we invite you to provide your input on the current qualifications, skill sets and units. We would like to know what changes or updates should be made to the components so that they meet the skills needs of the industry. In particular, we are seeking feedback about the units that are subject to deletion. If there is a need for these units, please provide comment explaining why and also any views you may have as to why there are so few enrolments. Your feedback will help us in drafting the revised qualifications, skill sets and units. To provide feedback, please use our feedback form. Alternatively, you can email Rebecca Ford rebecca@skillsimpact.com.au. The following units have been proposed for deletion as they have had no, or very low enrolments, over the past 3 years. If there is a need for these units, please provide comment explaining why and also any views you may have as to why there are so few enrolments. Subject Matter Experts are currently being consulted to draft the revised qualifications, skill sets and units of competency. Meetings with these experts are taking place to address feedback that was received during the Workforce Functional Analysis workshops, as well as other feedback that was received in the early ‘Project Plan‘ stage of this project. The Workforce Functional Analysis workshops were held during March and April, with people who work directly in the Seafood Industry. These hands on workshops consisted of Q&A sessions and activities to help identify the various job roles and tasks that exist within the seafood industry. Site visits were also undertaken to observe these job roles in workplaces. Please feel welcome to continue to provide feedback about the current and existing qualifications, skill set and units that will be revised in this project. Scroll down to view the qualifications, skill set and units that will be reviewed in this project, and the various job roles and skilled activities they cover. Thank you to those stakeholders that have been involved and provided feedback and advice so far. 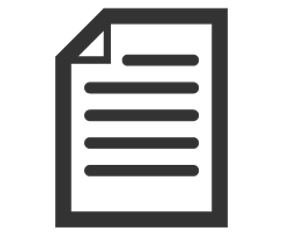 The revised draft qualifications, skill sets and units will be made available on this webpage for public consideration and feedback from July – August 2018 (under the ‘Drafts Available’ menu above). Face-to-face consultation workshops will also take place, across states and territories, with six webinars planned for those unable to attend in person. Registrations for these workshops are now open. Please feel free to register for a workshop near you or a webinar by clicking the corresponding link. Thank you to all those who provided feedback on the revised qualifications, skill sets and units of competency. The drafts were made available on the Skills Impact website for broad stakeholder review from 20 July – 19 August 2018. They have been reviewed and updated to incorporate skills to address changes in technology, legislative and regulatory requirements and environmental sustainability and management. They have also been reviewed to address the increasing and imperative importance of biosecurity within the industry. The draft qualifications, skill sets and units have been drafted in consultation with Subject Matter Experts. They have considered feedback that was received out of Workforce Functional Analysis workshops in March and April. People working directly in the Seafood Industry participated and provided information on the skills and knowledge required for job roles and tasks. Site visits were undertaken to observe these job roles in workplaces. Thank you to those who provided feedback during these activities. The total number of units for each qualification has been reduced by removing the same core units (or ‘nesting’ of units) that appeared across all qualifications. The number of imported units from other training packages has increased to allow greater flexibility in qualifications, to enable application in different contexts and to meet the diversity of individuals and organisational needs. SFI10118 Certificate I in Seafood Industry is proposed to be been merged with SFI10111 Certificate I in Aquaculture, SFI10211 Certificate I in Fishing Operations, SFI10511 Certificate I in Seafood Processing. Industry feedback was for a flexible Certificate I qualification, that allows for the development of basic routine skills across each of sectors of the Seafood Industry, would be sufficient in preparing individuals to work in the Seafood Industry. The revised SFI30118 Certificate III qualifications also allow for specialisations in Diving Operations and Vessel Operations. The SFI40118 Certificate IV in Aquaculture has been revised to incorporate content from the Certificate IV in Seafood Industry (Environmental Management Support). A new Aquaculture Chemical Skill Set has been developed based on an industry need for safety in using chemicals in aquaculture. A new Aquatic Biosecurity Skill Set has been developed to address the increasing and imperative importance of biosecurity within the industry. All units have been reviewed to ensure current practice and terminology, and that skill complexity is appropriately aligned to its qualification’s Australian Qualifications Framework (AQF) level. All prerequisites have also been removed to support equitable access and progression for learners. After review of the units, the following units of competency are being proposed for deletion due to duplication of content that can be delivered with existing units from other Training Packages. The following units of competency are being proposed for deletion due to no or very low enrolments, over the past 3 years. Thank you to those who participated in the validation process for the final draft qualifications, skill sets and units of competency. The final drafts were made available on the Skills Impact website from 27 September – 30 November 2018, after the Australian Industry Skills Committee (AISC) granted an extension to the initial 10 October deadline. The final drafts will shortly progress through to the Finalisation stage of the project which includes quality assurance of the documents and review and feedback from the State/Territory Training Authorities. They will then be forwarded to the Aquaculture & Wild Catch Industry Reference Committee (IRC) for consideration and sign off, before being submitted to the Australian Industry and Skills Committee (AISC) to consider and approve for publication on training.gov.au. Validation  means checking and confirming that the documents are logical and factually accurate. They have been improved so that the final draft qualifications, skill sets and units accurately reflect the current industry skills standards and practices and so that all job functions are accurately described. Prior to the Validation period, the draft qualifications, skill sets and units of competency were made available on the Skills Impact website under the ‘Drafts Available’ stage from 20 July – 19 August 2018. At this time, three qualifications, two skill sets and 28 units were revised. As part of the process six new units were also developed to address skill gaps in biosecurity control and advanced aquaculture and technologies. In addition, industry supported the deletion of 19 units, in order to streamline the qualifications and remove duplications. Some units have also had a code and title change to reflect current industry terminology. Due to the crossover of many of the skills being reviewed, consultation activities for this project have taken place concurrently with the Seafood Post Harvest Project. A description of how feedback has been considered and applied in the “drafts available” stage can be downloaded below. Based on industry consultation and stakeholder feedback, six new Post Harvest units have been developed. Cross sector units have been reviewed and redeveloped to meet skill and knowledge requirements relevant to all industry sectors. Stakeholder feedback has supported the deletion of the following units. The following unit is proposed for deletion due to duplication of content that can be delivered with an existing unit from another training package. Click here to download a zipped folder of all skill sets in this group. Four new Skill sets have been developed to meet potential future skills needs. Click here to download a zipped folder of all qualifications in this group. Subscribe to the Skills Impact newsletter to keep informed about project updates. Make sure to select ‘Aquaculture & Wild Catch’ as your industry of interest on the subscription form. The final draft units of competency, skill sets and qualifications are currently undergoing an edit and equity and independent quality assurance process. Part of this process involves the Aquaculture and Wild Catch Industry Reference Committee (IRC) providing support for the final documents. Once this process has been completed, the qualifications, skill sets and units will be forwarded to the State/Territory Training Authorities (STAs/TTAs) for their consideration and to seek their support for submission to the Australian Industry and Skills Committee (AISC). Comments from the STAs/TTAs will be reviewed before the final drafts are forwarded to the IRC. After consideration and signoff by the IRC, the final drafts will be submitted to the AISC as part of a Case for Endorsement, for their consideration. A Companion Volume Implementation Guide is also being produced as part of this project. It will contain key information to help registered training organisations (RTOs) implement the units, skill sets and qualifications, including the key work and training requirements in the industry; regulation and licensing implications for implementation; pathways advice; industry sectors and occupational outcomes of qualifications; and advice on workplace health and safety implications. Consultation with industry has taken place across Australia. Eight Workforce Functional Analysis workshops were held with people who work directly in the industry. Visits to 13 different businesses also took place, to observe these job roles in workplaces. The qualifications, skill sets and units were then drafted in consultation with Subject Matter Experts. The broader industry was consulted on the draft documents via eight workshops across the country, the online feedback hub, a webinar, telephone and email (as part of the ‘Drafts Available’ stage from 20 July – 19 August 2018). Feedback was considered and final drafts were made available for validation and comment from 27 September – 30 November 2018. Due to the crossover of many of the skills being reviewed, consultation activities for this project have taken place concurrently with the Seafood Post Harvest Project. A description of how feedback has been considered and applied in the the qualifications, skills sets and units can be downloaded below.